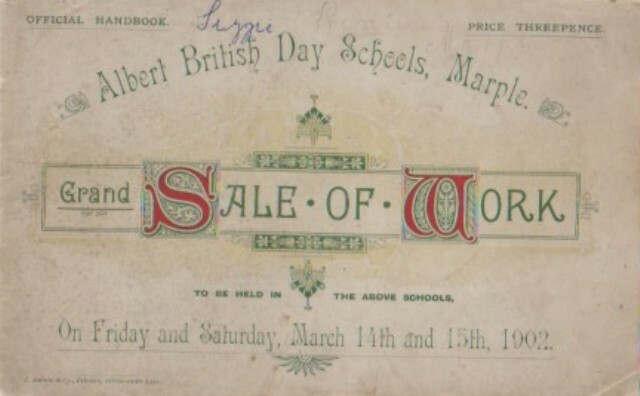 Original copy of 44 page Officail Handbook for "Grand Sale of Work" held at the Albert British Day School, Marple on Friday & Saturday 14th, 15th March 1902. 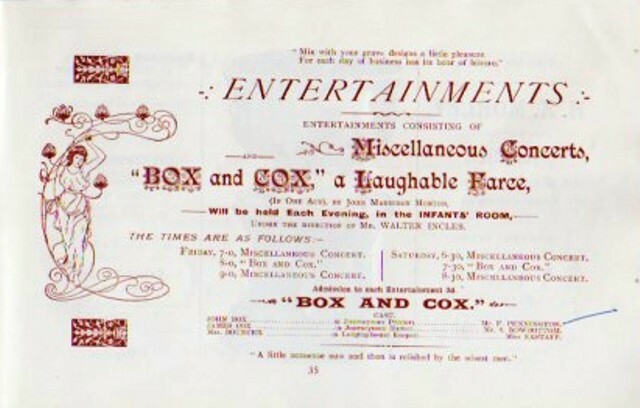 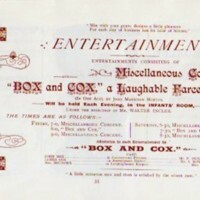 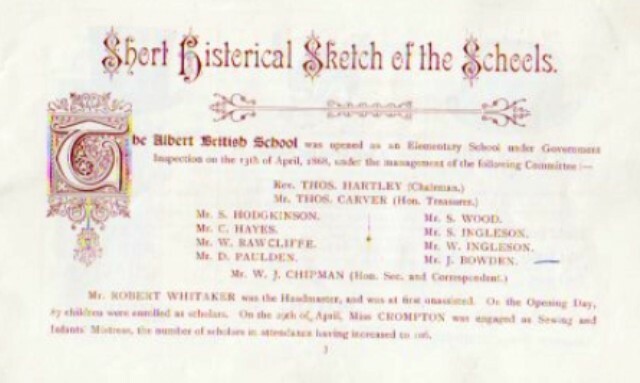 Handbook and guide gives details of the the history of the school, programme of events, stalls, entertainments, local business advertisement, with the object to keep the school free from debt. 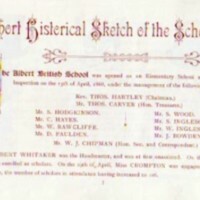 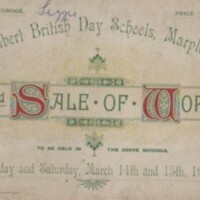 “Official Handbook : Grand Sale of Work : Albert British Day School : 1902,” Marple Local History Society Archives, accessed April 24, 2019, http://marplelocalhistorysociety.org.uk/archives/items/show/2352.